Malting barley is a niche agricultural crop; the level of its average production ranks below 1 million tons. It is more difficult to make money on malting barley than on feed barley: expenses are higher but prices are often at the same level and consumers – brewers have been reducing production for 6 years and entering strict requirements for raw materials. But the market is moving to specialization and those who cultivate barley under the contract have a guaranteed price and a good margin. With increasing beer production in 2008 we has grown a maximal quantity of malting barley – approximately 2,5 million tons. 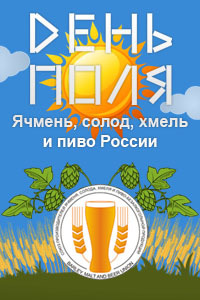 But in 2011 according to the estimates of the Union “Barley, Malt, Hops & Beer in Russia” we reaped near 700 thousand tons. At the same time the level of import exceeded 360 thousand tons. 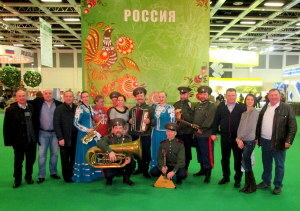 In 2012 there were produced 1,3 million tons of malting barley in Russia. As explained by the President of the Union Alexander Mordovin the development of malting barley production was stopped by the economic crisis, drop in production and beer consumption. Also this niche agricultural crop is not so popular due to the necessity of following technological processes. In recent years poor weather conditions, drought and heavy rains influence greatly on malting barley production. Another factor is a sales slowdown: key malt consumers – transnational brewing companies are using sacchariferous components and unmalted grain material. But since that year thanks to the law amendments beer shall be made of 80% malt and contain not less than 20% of unmalted components (sacchariferous ingredients shall be maximum 20%). So, by the opinion of A. Mordovin market demand for malt and malting barley is going up again. 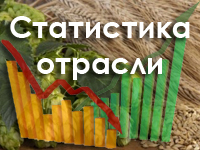 The Head of The Institute for Agricultural Market Studies Dmitry Rylko explains: “In Russia the meaning “malting barley” is indistinct, it is changed from season to season depending on supply and demand. In poor seasons of malt production we use barley of lower quality than in favorable period of time.” According to the data from IKAR this year the quality of malting barley was greatly degraded due to heavy rains during harvesting in the Central Black Earth Region. “However the market situation is calm and we managed to gather a significant volume of good quality barley,” Rylko notes. Beer market is not even stagnating but coming down: production has been dropping for 6 years. Maximal level was in 2007 – 1147 million decalitres. Volumes were cut to 15% in five years. As was stated earlier by the President of “Sun InBev” Andrey Gubka (it is belonged to the largest brewing concern Anheuser-Busch Inbev) the industry has already lost 20% of volumes due to six-time increase of excise duties in the last six years. For nine months of this year leaders of the industry cut sales to 10%. In 2012 the country produced 974 million decalitres of beer – it is 2,1% less than in the previous year and retail sales (1056 million decalitres) dropped to 2%. 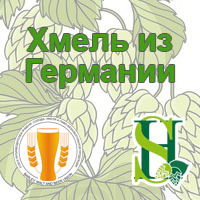 According to the estimates of Russian Brewers’ Union this tendency will continue for a year. The Chairman of the Union Council Isaak Sheps believes that by the end of 2014 beer market can be tightened to 25-30% as compared to 2008. First of all decline in beer production is connected with heavy legislative regulations and state policy directed to reducing of alcohol consumption level: by 2020 it can be lowered doubly. In May the government approved the basic directions of tax policy for 3 years: in 2014, 2015 beer excise rates (containing more than 0,5% and up to 8,6% of alcohol) will not be changed– 18 rub./l. and 20 rub/l. In 2016 an indexation in the amount of predicted inflation (5,4%) is expected. Beer lobby insists on increasing of strong spirits excise duties in order to recover the normal excise duty balance. “As a result of reducing total production volumes and brewing products consumption independent brewing business is gathering pace,” A. Mordovin noted. For the last three years transnational companies have been losing ground while the share of small and medium-sized brewing companies increased to 23% as compared with 5-7% five years earlier. By the opinion of A. Mordovin one of the reasons for reducing malting barley production is an imported malting barley competition. Its delivery volumes exceeded 520 thousand tons for the last year. 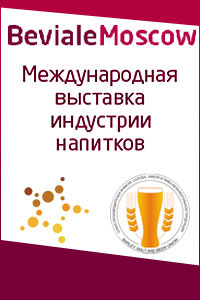 In summer BMBU proposed Eurasian Economic Commission to limit malting barley import to Customs Union countries, setting quotas for import and/or regulating it with customs duties. A specific occasion for addressing was Belarus position imposed a ban on import of this agricultural crop in August. A. Mordovin is sure that import limits for malting barley don’t contravene WTO rules. 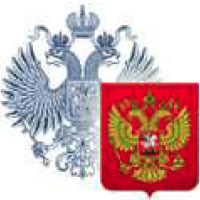 Protecting measures for Russian barley import have been already operating in EU: annual quota – 300 thousand tons and customs duty – €93/ton considering an average market price €190/ton. A. Mordovin believes that domestic agricultural companies have got resources for increasing barley production volumes. Import reduction can influence on it. But he pays attention to the fact that it is riskily to ramp up production without clear export prospects. The President of the Union reminds: “we have already faced a problem of proficit in 2008 when 2,5 million tons of malting barley of high quality have been produced. But this volume was not in-demand so the large part of the crop was sold as feed barley. That’s why for the market development it is important to export both malting barley and malt.” Now Russia is exporting small volumes mainly to CIS countries’ markets. One of the markets that could be tapped by domestic malting barley producers is China. By support of the Ministry of Agriculture a cooperation project “Beijing Program” has been developed and later approved by the Russian-Chinese Commission for preparing regular summit conferences. This project involves production of trade malting barley in our country, its export to China and SCO countries. 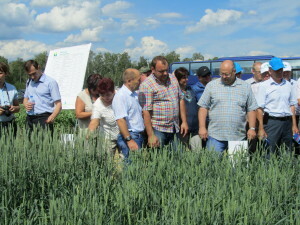 This year the first stage of the project – variety tests of Russian and foreign barley selection were started in the Altai Territory, the Novosibirsk and Omsk Regions. Domestic brewers had to import several hundreds of thousands of malting barley and malt per year. 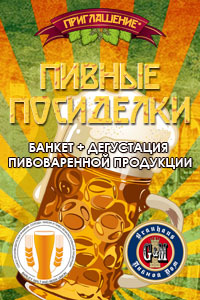 As noted by the Head of the barley company “Tambov farms” Igor Polyakov it is not suitable for all brewers. 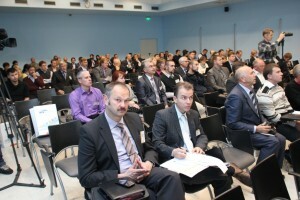 “At the present time processers are trying to increase purchasing from Russian producers. 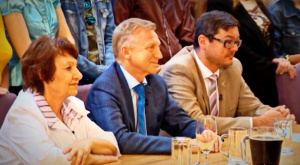 We use import on extraordinary occasions, for example we purchased barley in 2011 when the yield in Russia was decreased due to the weather conditions,” the Vice-President of the production and quality company “Ochakovo” Sergey Rumyantsev states. “In 2011 import of malting barley and malt reached 608,9 thousand tons,” corrected the Head of the Department for Markets Analysis “Rusagrotrans” Igor Pavensky. “Baltika”, entered in to Carlsberg Group in order to provide the plants with raw materials, has been developing a project of malting barley cultivation by contract basis for eight years. “We are trying to reduce brewing barley purchasing in the markets including foreign ones. 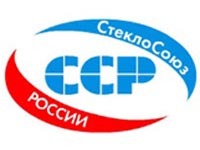 Though deficit of high quality raw materials in the country greatly influences on import volumes,” the Vice-President touching with legislative authorities and coordinating company corporate relations Alexey Kedrin added. 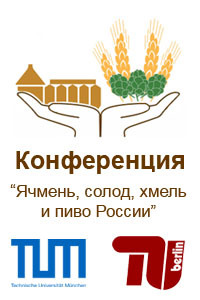 Tambovsky “Vilion” grows malting barley in the Tambov Region, places his contract manufacturing in other plants of the Black Earth Area and supplies an agricultural crop to the producers of malt and beer. This year malting barley was occupied over 5 thousand ha or 35% of the company plantings. “It was 38 dt/ha in bunker weight. But near 1 dt/ha is used for refaction, approximately 6 dt/ha – for field lease payments, 3 dt/ha – under working,” CEO of the company Sergey Tokarev enumerated. So yield of the trade volume is near 28 dt/ha. This year the drought and heavy rains during the tillering period had an impact on the productivity. “The company lost near 50% of the crop that could be gathered,” the Director complains. Quality problems have already been arising for four years and this year is not an exception. A nitrogen cycle increasing protein level in the grain was broken with the drought. And heavy rains influenced on barley color: it became grey-yellow, fungal infections activated and reduced grain germination. But in spite of complex weather conditions the grain was coarse with high purity of the variety and extractivity. “These parameters are appreciated by the brewers,” Tokarev said. Processers’ quality requirements make difficulties to cultivating of malting barley varieties. “It is easier and cheaper for agricultural producers to grow feed barley – it is not necessary to take into consideration protein level, purity of the variety, they don’t need to spend money on PPP and pay royalty for grains,” Tokarev explains. But annually “Vilion” attracts some new farm units, advances them with grains, controls growing process and looks for the most favorable way of payment for agricultural producers. By the opinion of Tokarev in spite of the drop in demand and beer consumption malting barley of high quality will always be in-demand and marginal. This season “Tambov Farms” didn’t manage to grow malting barley. Polyakov says: “Its quality depends on depth of rainfall in May-June. There was heat in our region and a protein parameter was very high. So we shall have to sell all crops as forage.” Usually malting barley covers near 3 thousand ha. Polyakov don’t see any alternative in spite of the fact that malting barley will reach proper quality after a season: malting barley is suitable for crop rotation – it matures early, then winter wheat is seeded. According to his words growing process of barley varieties doesn’t differ and expenses are also the same. Malting barley seeds are more expensive (last year the price for original seeds was 17 thousand rub/t.) but you can make more money from it. “Siberian bread” is specializing in growing of high-protein durum wheat and has been cultivating malting barley for three years. This season it was covered 2 thousand ha. “Problems occurred only during the first season: we didn’t manage to reach required quality,” CEO of the company Pavel Miklukhin stated. “In Siberia malting barley can be cultivated on equal terms with wheat. The main thing is to follow a recommended technology and renew varieties. This year harvesting in Siberian Federal District delayed but it didn’t influence on quality parameters,” Miklukhin assured. “Baltika” has two malting plants in Tula and Voronezh and also has got a stake in the malting plant “Soufflet Saint-Petersburg”. In recent years the company is correcting requirements to cereals for malt production. For example, a compulsory audit for raw materials suppliers was introduced and incoming quality inspection was tightened. Kedrin says: “We are controlling all cycle from the creation of the seed stock to barley storing.” An agricultural project allows “Baltika” to reckon on guaranteed raw material volumes and reduce its expenses with quality keeping. 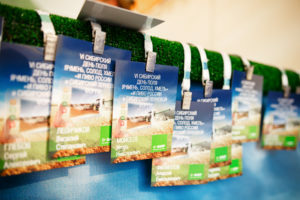 But agrarians – partners of the company have barley plantings in 12 regions of the Black Earth Area, Siberia and the Amur Region. “Ochakovo” cultivates approximately 50% of malting barley in their own farms and purchases the missing volumes from the agricultural producers of the Lipetsk, Belgorod, Kursk and Tambov Regions. “We are working with sustainable suppliers and annually attract new farm units,” Rumyantsev said. Weather conditions influence greatly on malting barley quality but agricultural producers are often cunning. “In pursuit of yield, agrarians use special fertilizers that produce good protein level. They are trying to increase crop productivity for the purpose to earn much money and provide brewers with required quality. But they don’t always succeed in it. However the quality of the domestic raw materials is improving year by year,” Senior Manager believes. Agricultural producers are interested in cooperation with brewers because malting barley is more expensive than feed barley. As compared by A. Mordovin from BMBU malting barley made to order for malting or brewing companies costs near 9 thou. rub./t. free on wagon (sending station) and the price in the free market is 7 – 7,5 thou. rub./t. Agricultural producers growing malting barley at a high level for a long period of time can count on profitability of 50% this season. Pavensky from “Rusagrotrans” told that very early in the season malting barley price was near 8 thou. rub./t. in European Russia and feed barley price – 5,9 thou. rub./t. Last year price difference fell down to 1-1,5 thou. rub./t. 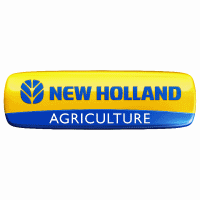 due to reducing of gross feed barley yield. “So in March 2013 feed barley price was 9 thou. rub./t and malting barley price – 10,3 thou. rub./t.,” an expert compared. Other seasons when we observed a deficit of raw materials for brewing the price differential reached 3,5 – 4 thou. rub./t. – as for example in the latter half of 2012/13.” This year the barley market price for malt is 8 – 9 thou. rub./t. 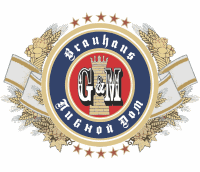 (protein level – up to 12%), for brewing – 7-8 thou. rub./t. with delivery to elevator – buyer. “It’s difficult to estimate the level of price fairness – in seed year 2008 we could only dream of these conditions and in 2010 they were higher,” Tokarev said. Taking into account weather conditions we can’t achieve economic potential for malting barley cultivation. The profit from malting barley realization is 10% for average 5 years. A. Mordovin believes that raw materials desirable for brewers (purity of a variety – minimum 95%, germination – from 95%, protein – maximum 12,5%) are always well paid. “The main reason for producers’ dissatisfaction lies in the fact that their crops don’t comply with companies specifications,” the expert declared. This barley is sold by discount.” The price which is lower than in the market can be also pointed in the contract but we don’t risk and can work without problems,” Polyakov from “Tambov Farms” believes. 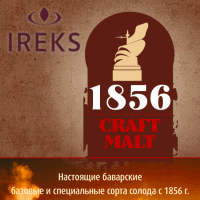 Under the contract base the company sells malting barley to “Cargill” and “Baltika” with guaranteed price and sales. 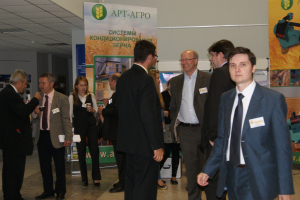 “Last season malting barley production profitability was at the level of 25-30%,” made an example Polyakov. According to the data from Tokarev expenses for seeds growing were 17,5 thou. rub./ha this year. Every year production costs are increased to 15-17%: last year they were 15 thou. rub./ha. By his estimates fertilizers, fuel, oil and lubricants are rising in price first of all – on average 20% per year. 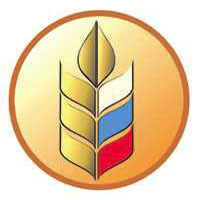 Miklukhin from “Siberian bread” estimates production costs of the trade malting barley at 3,7 – 3,8 thou. rub./t. taking into account the market price – 6 thou. rub./t. In November the company began to sell the crops to the local processers. He says: “We are working with regional malt houses and private breweries producing “live” beer.” The company is not planning to sell malting barley to the other regions though the demand exists. But procurement prices are compared with local figures and expenses on logistics are higher. “Plus railway rates – 1,5 thou. rub./t. It turns out that it is easier to produce feed barley and to sell it in the region,” Miklukhin believes. At year-end he is counting on margin of 70%. If there is a demand and successful logistics the company will increase plantings. 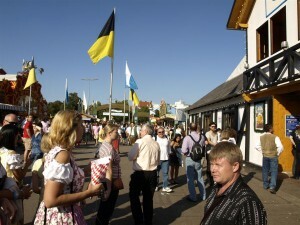 65 l. It is annual per capita consumption of beer in Russia. We have got 29th position in the world. Key producers of malting barley are the Central Black Earth Region; to a lesser degree – the South of the country, the Volga and East Regions. By brewers’ opinion beer production and consumption is dropping due to excise duty impolicy. “Beer excise duties are rapidly increasing as compared with vodka and wine and have an impact on the product price,” Rumyantsev from “Ochakovo” stated. Beer is the most affordable low-alcohol beverage. Every consumer is able to afford it. Negative influence on sales was exerted by beer sales limiting: a ban on distribution in the stands and other small outlets and also selling in other places after 23 o’clock. “The government claims that they are fighting for the nation health but we drink beer even less than in European Union and USA,” Rumyantsev said. “Besides according to the figures from “Baltika” strong alcohol drinks are dominating in consumption,” Kedrin added. So the main reason of the alcoholism in the country is high-proof spirits abuse – illegal vodka and substitute drinks. This north consumption type is popular in all profitable and educational groups. Kedrin advises bureaucrats to concentrate on driving of consumption culture instead of irrational bans.